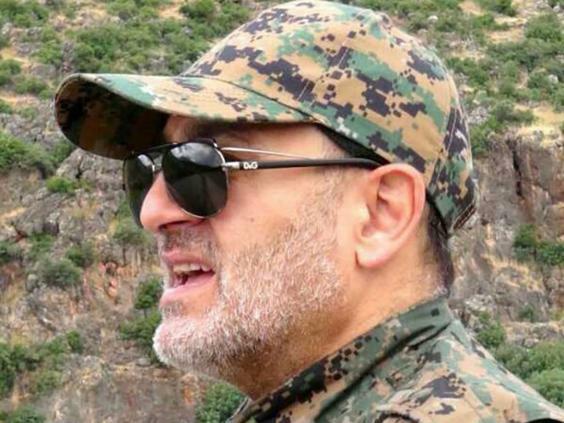 Following the death of a prominent leader of the arab-lebanese resistance, murdered by the Zionist forces while on Syrian soil, I address this open letter to all left-wing intellectuals and activists who have aligned themselves with the Syrian “revolution” and believe that by dreaming of the fall of Damascus, they are defending the Palestinian cause. In the spring of 2011, you were telling us that the Arab revolutions represented an unprecedented hope for the peoples living under oppressive, bloodthirsty tyrants. Our excessive optimism persuaded us to listen to your arguments for this miraculously flourishing democracy and your proclamations on the universal human rights. You almost persuaded us that these popular uprisings deposing the Tunisian and Egyptian dictators were going to universally sweep tyranny from the arab world, in Libya as in Syria, in Yemen as in Bahrain and who knows where else. However the flaws in this evolving narrative began to reveal themselves. The first glaring flaw appeared in Libya. A UN resolution, adopted by the Security Council to ostensibly save endangered civilians, transformed itself into a blank cheque for the military removal of a head of state that had become undesirable for his western partner states. 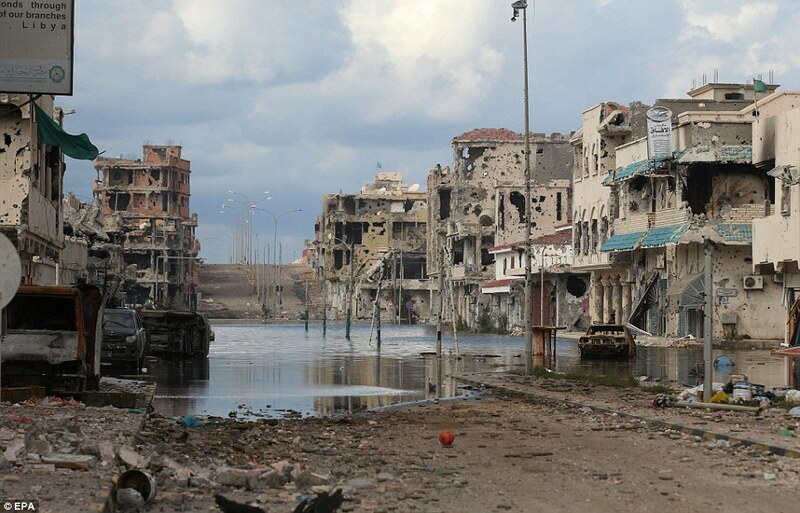 This “regime change” operation can be considered one of the worst moments of the neo-conservative era, accomplished on behalf of the US by two powerful European nations in search of neo-imperialist influence, it precipitated a disaster for which Libya is still paying the price. The collapse of this unitary state in its infancy delivered the country into the hands of the tribes & factions whose unbridled ambitions were driven by oil lusting western scavengers. Despite this, the “good souls” among you managed to find “extenuating circumstances” for this operation thus justifying the demands for a similar fate for the government in Damascus. Consquently, the winds of revolution that were blowing in Syria seemed to validate your interpretation of events and retrospectively provided a rationale for the humaniarian warmongering unleashed against the Tripoli potentate. 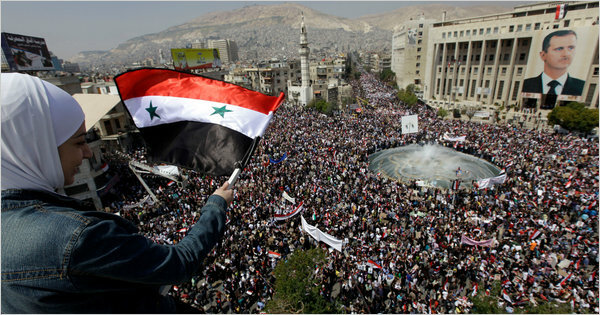 However, far from the mainstream media arena, certain analysts observed that the Syrian people were not unanimous. The anti-government protests arose in certain towns, traditional bastions of the Islamist opposition and these feverish protests by those impoverished by the financial crisis did not present any real threat to the government in Damascus. You chose to ignore these rational, logical warning signs. Simply because these facts did not correspond with your narration of events, you extracted only that which suited your interpretation. Where these objective observers saw a polarisation of Syrian society, you only wanted to see a bloody tyrant assassinating his people. Where a dispassionate view would have allowed you to discern the weaknesses but also the strengths of the Syrian state, you deployed a self righteous rhetoric to bring to trial a government that is not the only perpertrator of violence inside Syria. You saw many protests against Bashar Al Assad yet you failed to see the overwhelming marches in support of the government and the proposed reforms, these marches filled the streets of Damascus, Aleppo and Tartous but you didnt see them. You have highlighted the macabre accounts of the government victims but failed to report those of the victims of the armed opposition. In your eyes, there are good and bad victims. There are victims that you talk about and those you dont want to hear about. You have deliberately chosen to see one side and ignore the other. At the same time, the French government, whose domestic policies you openly criticize to maintain the illusion of independence, has entirely supported your narrative. Curiously, your narrative coincides perfectly with that of French Foreign Minister, Laurent Fabius, the master of servility, combining unconditional support for the Israeli war against the Palestinians with a Pavlovian alignment with the US leadership and hostility towards Arab resistance. You seem unperturbed by your apparent marriage to the French Foreign Office. You were defending the Palestinians while dining with their assassins behind their backs. You even accompanied french state officials on a visit to the State of Israel. 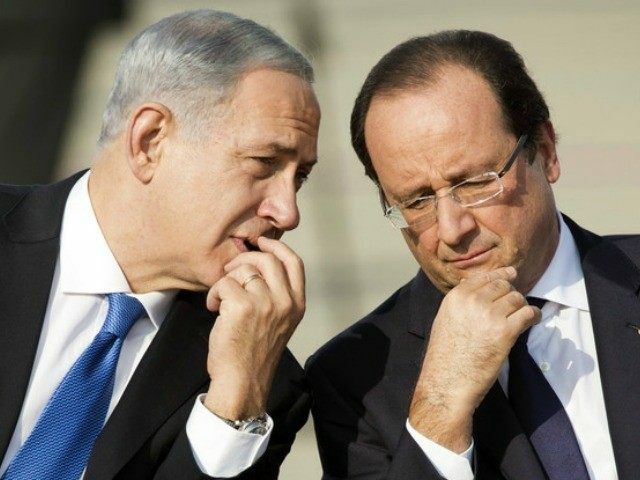 You are willing accomplices to a French President who has declared that he will ” always support the Israeli leaders”. It seems that was not enough to scandalise you and you still joined everyone else who boarded the plane with the President. 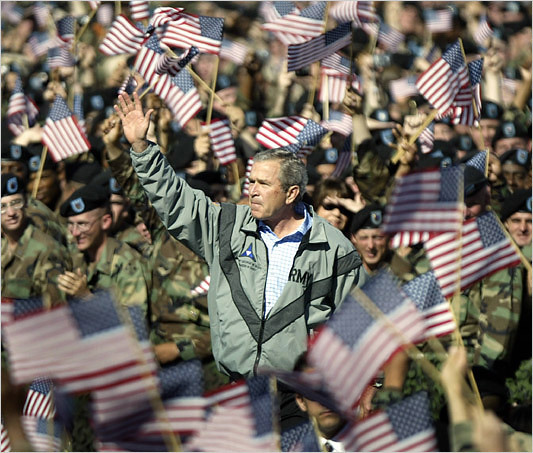 You correctly condemned US military intervention in Iraq in 2003. You were left “cold” by the carpet bombing for democracy and you doubted the educational value of surgical strikes. However, your indignation at such “high tech” gunboat diplomacy seems bizarrely selective. Now you justify the hue and cry against Damascus that you found intlolerable 10 years earlier, against Baghdad. A decade has sufficed to render you so malleable that you envisage the salvation of the Syrian people to be a rain of cruise missiles targeting a country that has done nothing to harm you. You have denied your anti-imperialist convictions to be enthusiastically wedded to the Washington agenda. Shamelessly, not only were you applauding the B52s but you upheld the most groteque US propaganda, when you should have been immunised against it by the Iraqi precedent and the unforgettable lies from the Bush era. While you were inundating the French press with your inaccuracy, an outstanding American investigative journalist tore the pitiful chemical weapons “false flag” to shreds. A false flag destined to pin responsibility for a chemical attack onto Bashar Al Assad despite no international organisation supporting these accusations. The experts at the Massachussets Institute of Technology and the Organisation for the Prohibition of Chemical Weapons even went so far as to accuse the opposition of carrying out the attacks. Ignoring facts and concealing them where necessary you played your miserable part in this orchestra of lies. Even worse, you continue to do so. Even Obama had said he didnt believe it, but you persisted in regurgitating your lies like guard dogs that bark long after the intruder has escaped. To what aim? To justify the bombing, by your own government, of a small sovereign state, whose greatest crime was to resist the imperialist order. To come to the aid of a Syrian “revolution” whose true face you have hidden behind a mask, perpetuating the myth of a moderate, democratic opposition that, in reality, exists only in the meeting rooms of luxury hotels in Doha, Paris or Ankara. You have therefore exalted this “Syrian revolution” but have turned a blind eye to its mafia practices, its sectarian ideology and its troubling and dubious funding. You have painstakingly obscured the interfaith hatred that inspires this morbid aversion to other faiths, a hatred held in place by the Wahhabi ideological cement. You knew that the secular Baathist government acted as a life insurance for all minorities inside Syria but you persisted in discrediting and ridiculing those who came to the defence of the persecuted Christian communities. But thats not all. On the day of reckoning there remains one ultimate ignominy: you have endorsed the politics of Laurent Fabius who has declared that Al Nusra, Syrian branch of Al Qaeda, is “doing a good job”. No compassion for the mutilated civilians on the streets of Homs or the Alawites of Zahra massacred by the “rebels”, in your view these human beings have no significance. Between 2011 and 2016, the masks have fallen. You refer to the international law but you applaud its violation against a Sovereign State. You pretend to promote democracy for the Syrians but you are the harbingers of the terrorism that is prolonging their suffering. You say you defend the Palestinians but you are on the same side as Israel. When a Zionist missile is launched at Syria, dont worry, it will never harm your friends. Thanks to Israel, thanks to the CIA, and thanks to you, these courageous “rebels” will continue to work towards a “brighter” future for Syria under the Takfiri banner. The Zionist missile will, in fact, kill one of the leaders of the Arab resistance that you have cynically betrayed. Translation by Vanessa Beeley for 21st Century Wire. Bruno Guigue is a French author and political analyst born in Toulouse 1962. Professor of philosophy and lecturer in international relations for highter education. The author of 5 books including Aux origines du conflit Israélo-Arabe, l’invisible remords de l’Occident (L’Harmattan, 2002). May 21, 2016 in Sryia, United States.